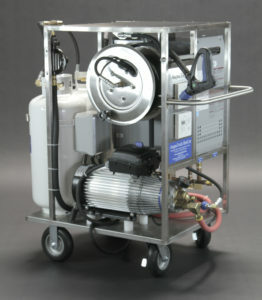 AaquaTools, Inc. has been a pressure washer distributor for over twenty years. Since 1997 our focus has been on selling what we have ascertained to be the very best equipment produced in the world today. It is common to find a piece of equipment we sold in the 1980’s still performing rigorous activities today much like it did when it was first sold. Today, we refuse to sell an inferior piece of equipment just to be competitive on price. This often creates a tougher sale but ultimately develops a lifelong relationship with our customers. Remember, “Your satisfaction is our guarantee”.